We are members of Waltham Forest Citizens and part of CitizensUK, the UK’s largest civic alliance. Citizens UK organises communities to act together for power, social justice and the common good and in Waltham Forest, with churches, mosques, schools, and colleges we are developing the leadership capacity of our members so they can hold decision-makers to account on the issues that matter to us. Community organising is not just great theology, it is democracy in action: winning victories that change lives and transform communities. Sign up on Facebook or Twitter to find out more and speak to Fr Andy to get involved. FCENS is a rolling shelter sleeping 30 individuals at a different church venue in the area each night of the week. Our beneficiaries and volunteers have been transformed through experiences gained from interaction with each other and many users have felt that they have regained some self-respect and confidence through being in the shelters, being helped to find accommodation and a life away from the street. For more information on how to help, refer, or find a bed for the night visit the website. 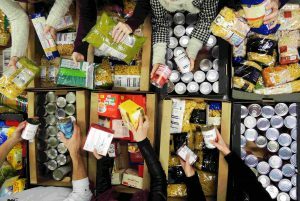 E4 EatorHeat Foodbank endeavours to help feed people who say “I can either heat and light the house, but can’t feed the family too”.  The foodbank supported by donations and volunteers from the parish along with several other local churches and runs from South Chingford Congregational Church E4 8LT. Donations of cans, packets, cartons, etc can be left at both churches each week and volunteers, referrals, and people in need are all welcome. Contact us via the website or Facebook group. 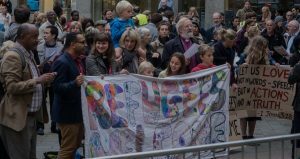 The support we offer is an expression of our Christian witness in the world. The Parish has links with many charitable organisations that share this aim and raises thousands of pounds for them throughout the year through concerts, carols, and other sponsored events. This includes long associations with national organisations such as The Children’s Society, and Action Aid, and local charities such as The Helen Rollason Cancer Charity, and Haven House Hospice. The Parish has links with its own historic charities such as THe Old School Charity and The Walthamstow and Chingford Almshouses and there is an active TraidCraft Shop at both churches where you can help whilst you shop. Your churches at the heart of your community for nearly a thousand years.